You have picked the perfect home, completed the general inspection and the appraisal; you are ready to move in. Then you find out, in order for the home to qualify for an FHA loan, there are appraisal required repairs. 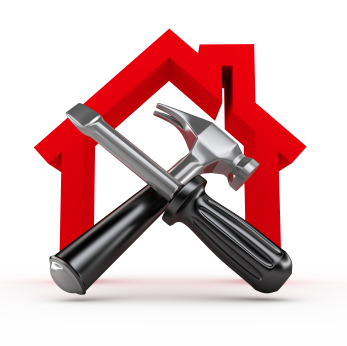 Appraisal called repairs are repairs bnecessary to complete the financing of your home. This list is not comprehensive, but a few of the known defects appraisers may call. Need A Termite Inspection? Although you will probably want a wood destroying pest inspection, you may be required to have a termite inspection. In some states, where termites are prevalent, this may be required for VA and FHA loans. A pest inspector will go the property and inspect it for any visible signs of termites. If there are no issues he will sign off on a report and send it to your loan offer to add to your file. However, if there are signs of termites he will make some recommendations on how to solve the problem. Depending on how severe the problem is he could recommend a few things. They could range anywhere from spraying the foundation to a full fumigation. Evidence of Structiral Problems - Structural or foundation issues where there has been excessive settlement may also be called on an appraisal. Chipped Paint? Yikes! Appraisers are required to flag any chipped and peeling paint on a home built prior to 1978. A home with any kind of chipped and peeling paint on the exterior will not qualify for an FHA loan. This is a pretty simple and inexpensive fix in most cases. All that needs to be done is the paint scraped and repainted. Then the appraiser will need to come back out to the property and pass off the work that has been done. If the weather is too cold and you cannot paint, you may be able to set up an escrow account with the money for the repairs to be done when the weather is better. When the weather allows the painting can be done, then the appraiser will have to pass off the work at that point. Is Your Insulation Satisfactory? If there is not enough insulation in the attic the appraiser may recommend that some insulation is added. Depending on the area and the type of loan you are doing will determine the amount of insulation needed to meet the requirements. Is the Roof Sound? Worn roofs may need to be replaced and roofs with more than 3 layers of shingles will need a complete tear off and new roof. If the repairs are not made and approved by the appraiser you will not be able to get the loan. Most of the time you can get the seller to help contribute to the cost of these repairs especially if they are advertising that the home qualifies for an FHA loan on the MLS. It is also a good idea to try and negotiate any anticipated repairs when you make the offer. This way you will know what help to expect from the seller. Having a great real estate agent is the key to understanding the inspection and appraisal process to keep you from missing your deadlines and losing your home. That is very interesting that you can post money in an escrow for painting to be done in the spring when its warmer. I know my Seattle homes sellers will appreciate knowing that one. Thanks for sharing.